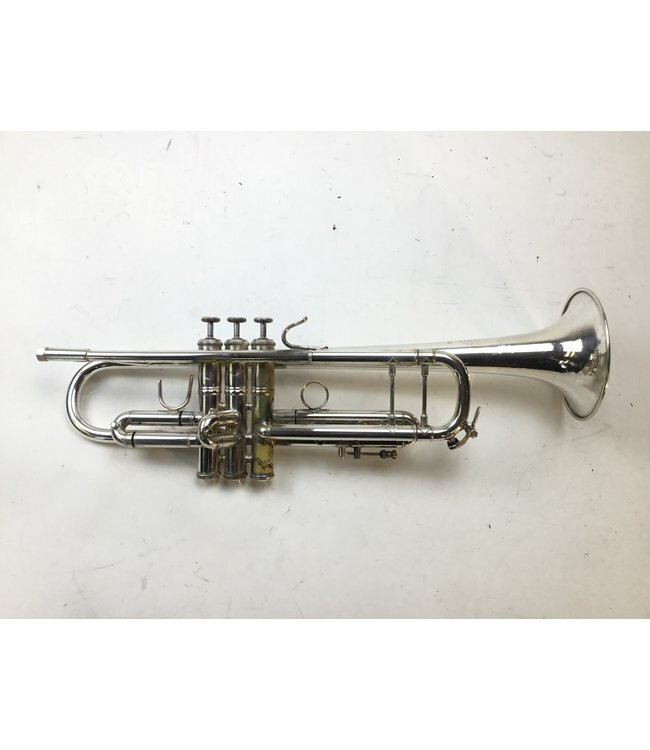 Used Bach Stradivarius model LT180S72, ML bore (.459”), Bb trumpet in silver plate. Instrument is in good condition with heavy silver - metal wear at contact points, evidence of bell repair, minor dings and surface scratching. Includes case.